PUTRAJAYA (Oct 10, 2013): The Road Transport Department (RTD) has issued new discounted rates for summonses under the AES. Its director-general Datuk Ismail Ahmad said the rates worked on the principle of "the more you delay, the more you pay". "It is RM150 if you settle the summons within 14 days (from the date of issue) and RM200 within the next two weeks. Those settling the summons after one month will have to pay the maximum fine of RM300. 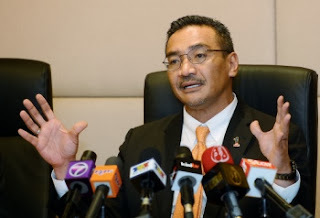 "However, the rate will be a fixed RM300 if one is caught speeding in excess of the speed limit by more than 40km/h," he said at a press conference at RTD headquarters here today. Ismail said the discounted rates were only applicable to summonses issued on and after Sept 18. "All AES summonses before Sept 18 will follow the old rate of RM300 for both speeding and traffic light offences," he added. Ismail said if a summons is still not settled three months after issuance, the offender will be taken to court. He said those who have received summonses from Sept 18 may settle their payments now and the summons dates would be counted from Oct 10 and not from the original date of issuance. Ismail said nearly 700,000 summonses have been issued since the AES was implemented. "The government will be taking over the AES by next year. Until then, all summonses paid will go to the concessionaire. "Once the takeover is done, the new system, which is expected to begin next year, will introduce demerit points to encourage traffic offenders to settle their summonses as soon as possible and enhance the effectiveness of traffic enforcement," he said. He added the demerit points are not just for AES offences, which is only for traffic light violation and speeding, but for 21 other types of traffic offences.